It's quite normal to belly-ache to friends on the phone about work or vent about our bosses to our spouses at home, but do it online, and you could be in for a world of trouble. Employers are increasingly taking a hard line approach over workers' online behavior — even terminating them over it — and those stories are only going to grow as social media further entrenches itself into our lives. In most cases, it's perfectly legal for companies to terminate employees over their social media activities, a fact that many people don't even realize. But things don't necessarily have to go down that way, thanks to a 75-year-old piece of legislation. Established in 1935, the National Labor Relations Act (NLRA) protects workers engaged in "concerted" (i.e., collective) activities to improve workplace conditions. The operative part of this is the concerted/collective requirement, and proving that aspect via social media apparently isn't not so hard. 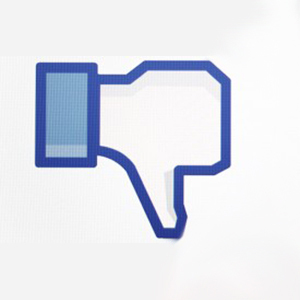 Strange, but true — in some cases, the National Labor Relations Board (NLRB) considers Facebook "Likes" or correlative co-worker comments enough to satisfy this part of the NLRA requirement. Is the complaint about actual working conditions and specifics, like compensation, safety, benefits, procedures, etc…? Have you and/or friends commented in the thread about actual steps to improve the situation? Were your comments posted outside working hours or otherwise not disruptive of work? Were they nonthreatening in nature? Have you shared these views via any in-person conversations with others who feel the same way? And were any action steps proposed? If you answered yes to most or all of these scenarios, then you might be covered under NLRA. The next step is to consult an attorney specializing in employment law, and see if he/she thinks you have a case. And eventually, when you're holding down another job, remember there's a foolproof tactic for protecting yourself against termination for Facebook activity: Just refrain. For more on the National Labor Relations Act, as well as some examples of cases that invoked it — successfully and unsuccessfully — hit the source link.